Lindy Shellito, 91, of Shell Lake died Sunday, January 27, 2019 at Glenview Assisted Living Center. He was born July 29, 1927 in Shell Lake, WI to Frank and Isabelle (Thomas) Shellito. He served during WWII with the US Navy stationed on the island of Guam. 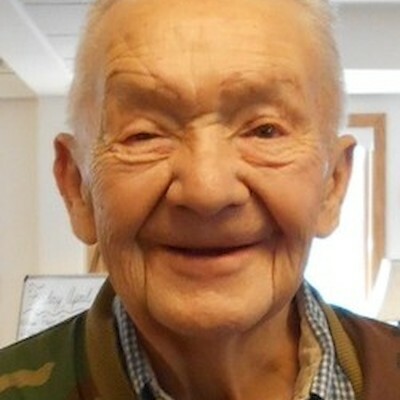 He was married in Pine City, MN on August 12, 1950 to Anne Kisala. He returned to the Shell Lake area, worked for Peterson Boat Factory, then moved to Chicago where he worked 37 years for General Mills. Lindy retired back to Shell Lake, where he spent countless hours fishing the area lakes, hunting and enjoying the great outdoors. He was an enrolled member of the LCO tribe of Ojibwe. He is survived by his sons: Charles (Vivian) Shellito of Luck and Mark (Patricia) Shellito of Marionette Park, IL; his daughter, Debra (John) Wiesch of Geneseo, IL; 9 grandchildren; 13 great grandchildren; many nieces, nephews, cousins and other relatives. Lindy was preceded by his wife, Anne in 2012; granddaughter, April Lynn; 13 siblings: Dorothy, Sterling, Inez, Franklin, Leander, Florence, Robert, Mary Jane, Beatrice, LaVerne, MariAnna, Allan and Pat. Funeral services will be held at 11:00 AM Saturday, February 2, 2019 at Skinner Funeral Home - Shell Lake and burial with full Naval honors will follow at Shell Lake Cemetery. Serving as pallbearers are Charles Shellito, Robert Shellito, Jim Shellito, Mark Shellito, Mitchell Shellito and John Wiesch. Visitation will be from 9:00 to 11:00 AM Saturday before the service.